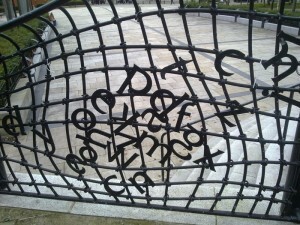 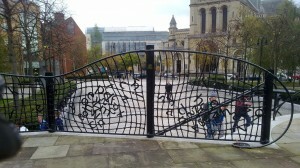 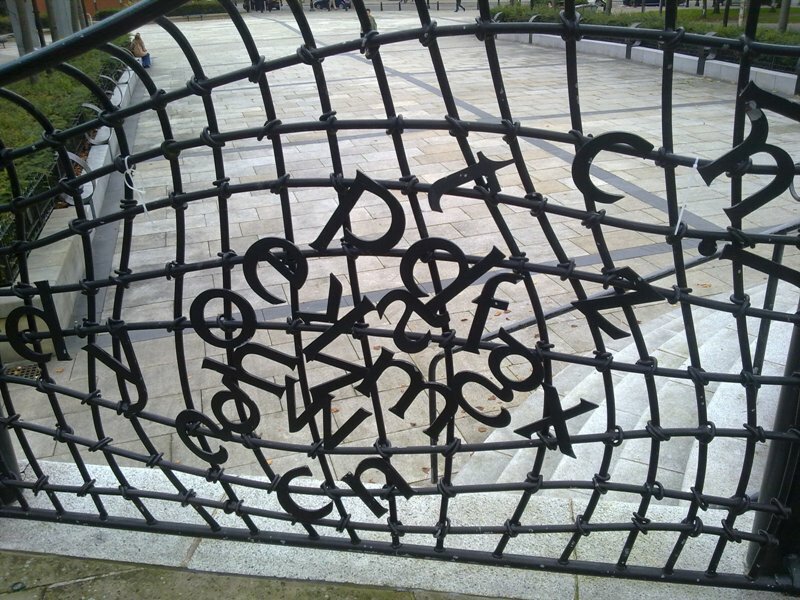 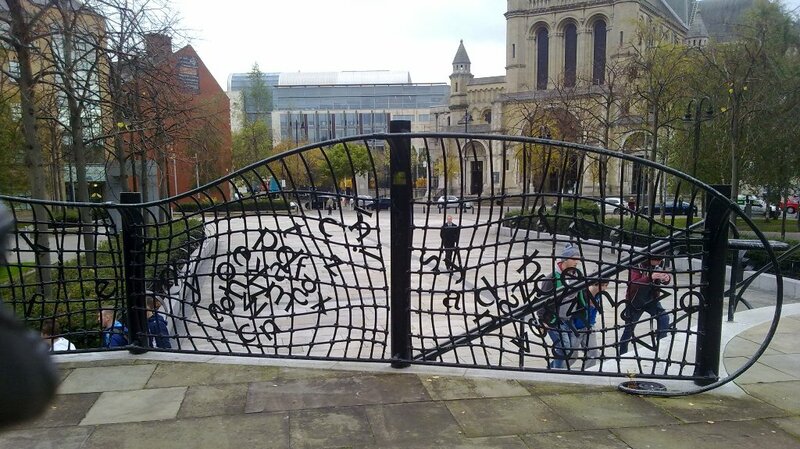 These steel railings reflect the literary theme for Writers Square. 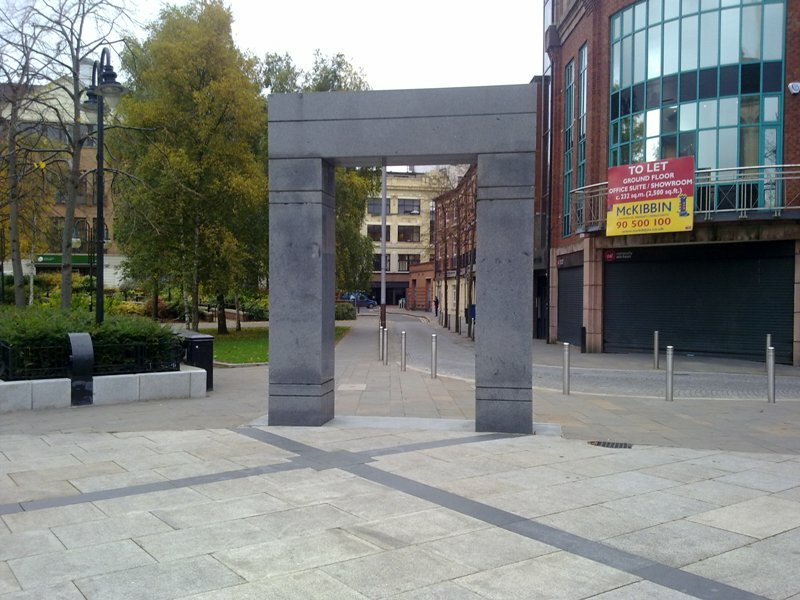 Alan Dawson Associates are based in Cumbria and specialise in the design, manufacture and installation of bespoke internal and external art and architectural metalwork. 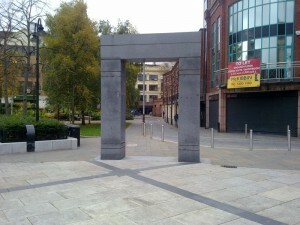 They have carried out many award winning schemes throughout the world. 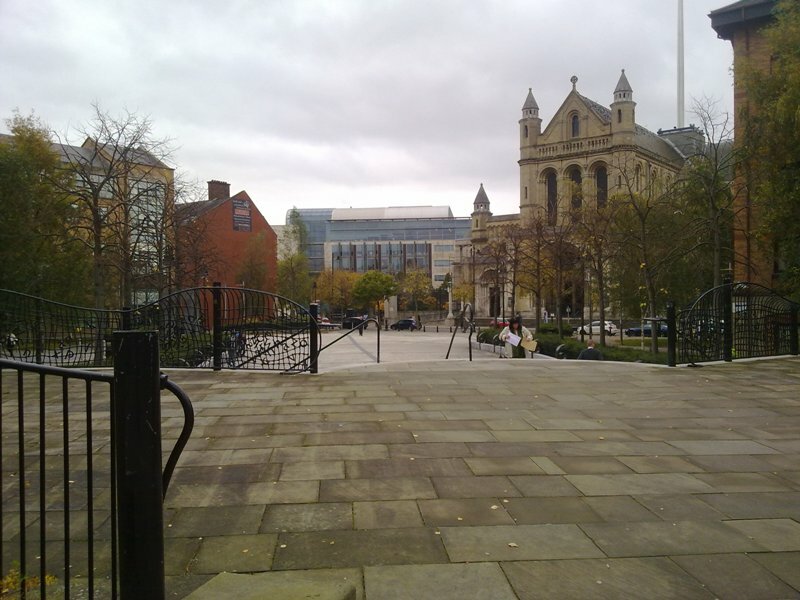 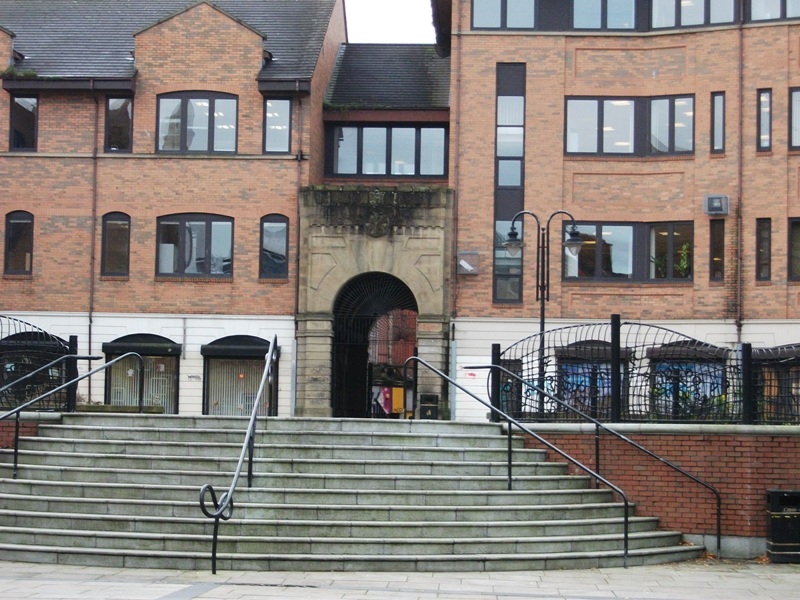 Writers Square, which faces St Anne’s Cathedral, was opened in 2002, it officially recognises Northern Ireland’s rich literary heritage. 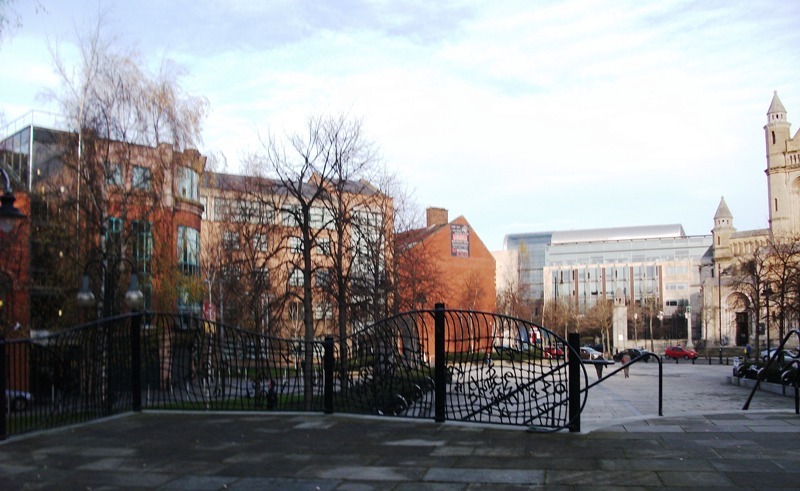 Existing trees planted by Anglican bishops from all over the world have been carefully preserved and retained to enhance this city park. 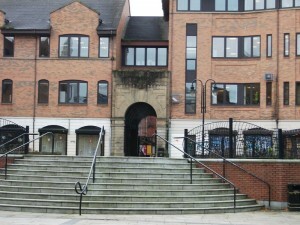 The square, which links Donegall Street and North Street, is capable of holding up to 1,000 people at outdoor events. 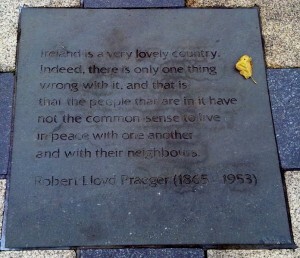 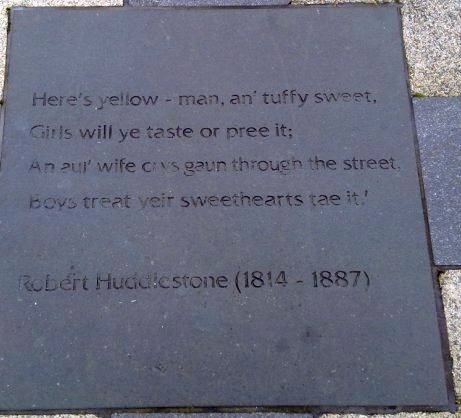 Quotations from 27 deceased Northern Ireland authors have been inscribed in stone at various points across the square. 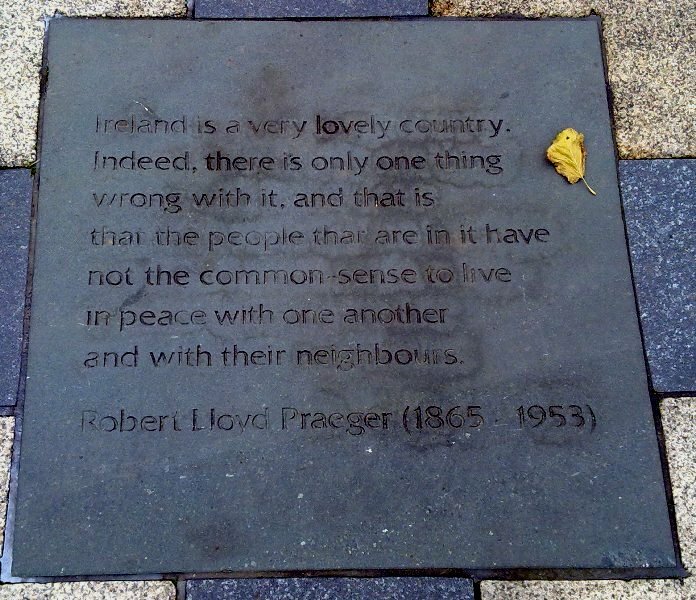 Also included are the poets Lois MacNeice, and John Hewitt, novelists Sam Hanna Bell, CS Lewis and playwright Stewart Parker. 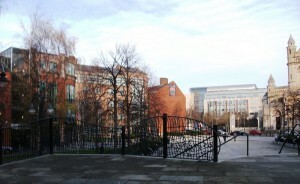 This entry was posted in Ireland, Openings, Photography on November 11, 2012 by Grannymar.